The South Pasadena High School Tiger Booster Club is organized under section 501(c)(3) of the Internal Revenue Code. This volunteer service organization, composed of SPHS parents, teachers and dedicated community members, is the primary and largest fundraising organization for South Pasadena High School. The SPHS Tiger Booster Club, Inc. Board of Directors authorizes and oversees fundraising efforts including three major fundraisers: weekly Tiger Bingo; the annual Tiger Run; and the annual Booster Bash. All fundraising efforts are staffed and managed by Booster Club members who volunteer their time and skills to operate the Booster Club’s fundraising activities. 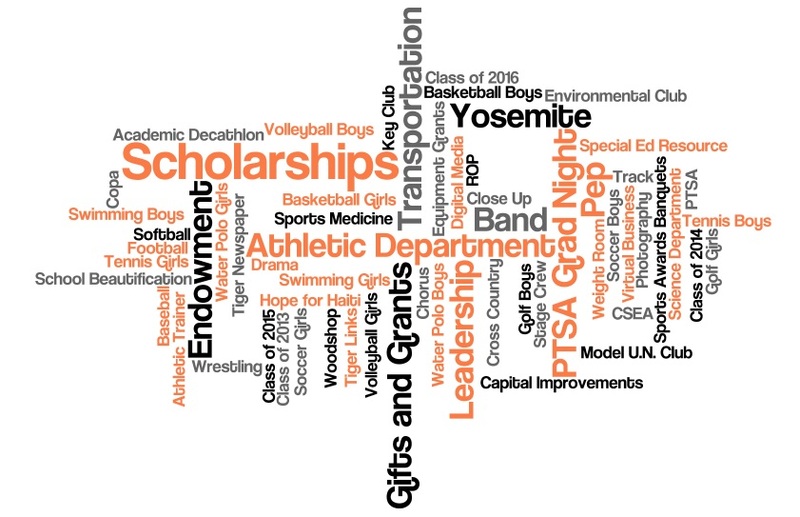 The South Pasadena High School Tiger booster Club, Inc. is a charitable, non-profit organization whose purpose is to support athletic and extracurricular programs at South Pasadena High School. Operated and sustained by volunteers, the Booster Club provides financial support for these programs through a variety of fundraising activities and by maintaining the administrative infrastructure that makes additional fundraising by individual programs possible. The Booster Club is committed to helping students achieve physical, intellectual, and interpersonal growth through participation in extracurricular activities. What groups does the SPHS Boosters Support? The following groups are currently eligible to receive Bingo Credits, which means volunteers can request that Bingo Credits be directed to these groups.